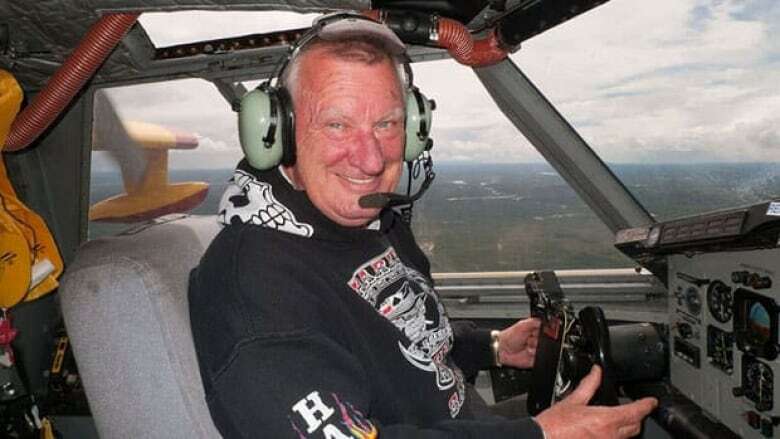 Northern bush pilot and reality television star Arnie Schreder has died at the age of 69. Schreder, who was 69, retired and moved to British Columbia in 2010. His daughter, Yvette Schreder, said he died early Saturday morning from pneumonia after a fight with small-cell lung cancer, which he developed in November 2010. A funeral service will be held on Thursday in Winfield, B.C. Then a chartered Buffalo Airways plane will bring Arnie's body and his family to Yellowknife on Friday. "We're going to do a final send-off again, like he had when he retired," said his daughter. "So they're organizing the tanker trucks to be there for his last flight, then we'll have a service on Saturday, or a memorial at the Buffalo hangar at two o'clock." Formerly from Saskatchewan, Schreder came to the North in the '70s and trained hundreds of young pilots. Yvette said her father died peacefully in his sleep, with a smile on his face. He had two children, four stepchildren and four grandchildren.